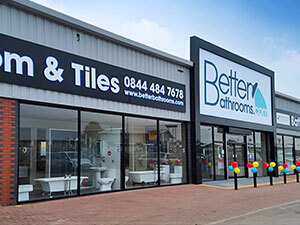 At UKFast we love nothing more than hearing how our clients’ are getting on, so recently we paid a visit to the Better Bathrooms showroom to see and hear what one of our fast-growing, award-winning clients is getting up to. In the 12 years since beginning as a bedroom startup, Better Bathrooms has been on an incredible journey. The now multi-million pound business operates in 11 stores across the UK as well as cultivating an extraordinary online presence – but how do they do it? Harriet caught up with the firm’s IT Manager Pete Robertshaw to find out. There’s no I in team, other than investment! Read more about how hosting with UKFast has helped Better Bathrooms in the full client story.